A little low-key Plover news while we're waiting for the next big bombshell. Count down to Stenosaurus is getting closer. Josh got some parts yesterday, will be getting more tomorrow, and the first fully functional Stenosaurus will hopefully be built shortly thereafter! I cannot WAIT to get my hands on it. 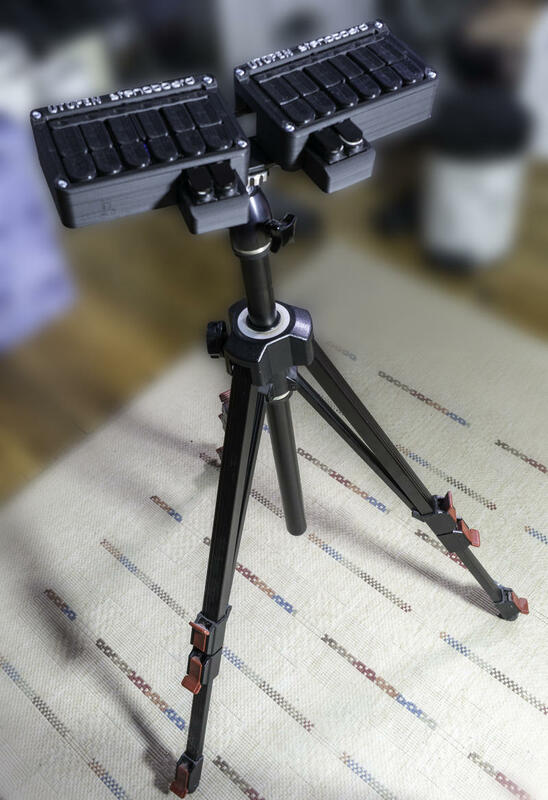 Meanwhile, check out this sweet tripod-mounted Stenoboard setup by Achim! It uses a photo tripod rather than a steno tripod, which is cheaper and much more easily available. Also in the Aviary, Charlie has been learning steno for just over a week, and has already written two blog posts in it!. He also recommends a cross-platform typing tutor called Amphetype. I tried Key Hero, a similar application linked from Amphetype's website, but was frustrated that it marked Plover's automatic buffer rewriting as errors, even when the final product was 100% accurate. Dunno if that's true of Amphetype as well. Finally, it's a terrible pity that the Sidewinder X4 is no longer manufactured. It doubled the entry price for steno from $45 to $100, which is a real shame. But their online n-key rollover testing app is still functional, and it's useful if you want to test whether a mechanical keyboard that purports to have true n-key rollover can actually deliver the goods. We've posted this before, but not for a while, so I thought it should get a bump. Thanks to Ethan for reminding me about it.